Boy Scout Chili Extravaganza 2011! Dustin Williams and "Pedro" Hillard serve up the goods. I love this annual event held by Boy Scout Troop 343 in Dover, because nothing screams "ARKANSAS!" quite like this. It is a fundraiser event for the troop, and it only costs $5.00 to attend. After buying your ticket, you may eat as much chili as you want. The fun part is variety of chili available. You can try elk chili, rabbit chili, buffalo chili, squirrel chili, beaver chili, and more. Your ticket also includes a drink and dessert of your choice. "So this is Engineering, huh? Engineering, where the noble semiskilled laborers execute the vision of those who think and dream. 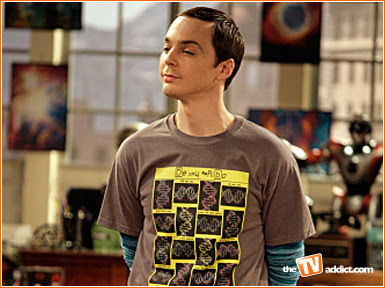 Hello, Oompa Loompas of science!" 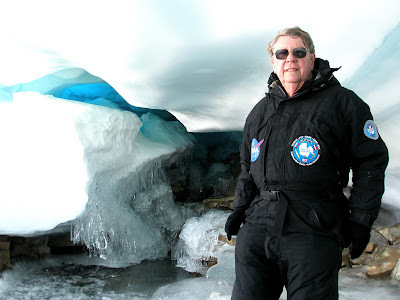 Dr. Richard Hoover at the Ice Cave of the Schirmacher Oasis, Antarctica--February 2009. I met Dr. Hoover when I was an eighteen-year-old undergraduate at the University of Alabama in Huntsville. I saw him give a presentation on the possibility of meteorites and comets spreading life throughout the cosmos, and it literally changed the direction of my life. Dr. Hoover is the single most influential scientist I have ever met. He has been thinking "outside the box" for longer than I have been alive. He should be considered a national treasure by any standards, and the fact that he has an honorary Ph.D. from the U.S. and Europe should shed some light on the far-reaching implications of his work. Life probably did not start on this planet. Get used to it, folks! Once I heard Dr. Hoover say, "The Earth is not a closed ecosystem." We are constantly being bombarded by materials that mostly get burned up as they fall through our atmosphere, but many particles (and sometimes much larger objects) actually make contact with the Earth's surface. Astrobiologists like Dr. Hoover do research to determine how long microbes might be able to travel through space in a dormant state, and whether or not they could survive the heat and forces generated during a crash-landing onto a planetary surface. From everything I have seen, the general findings are a resounding "YES - it is quite possible that life could travel via meteorites and comets from one part of the galaxy to another and survive."